For the first time ever, 180 organizations from 90 countries came together to fight against childhood cancer. We had the great honor to create and co-ordinate the campaign together with the Swedish Childhood Cancer Foundation. Together with the compositor Christophe Beck, known creator of the music for Disney's Frozen, we created the song "We Are One". On the website http://child4child.com/ we urged the children of the world to sing along in the chorus which later were mastered into a version with all the children's voices. 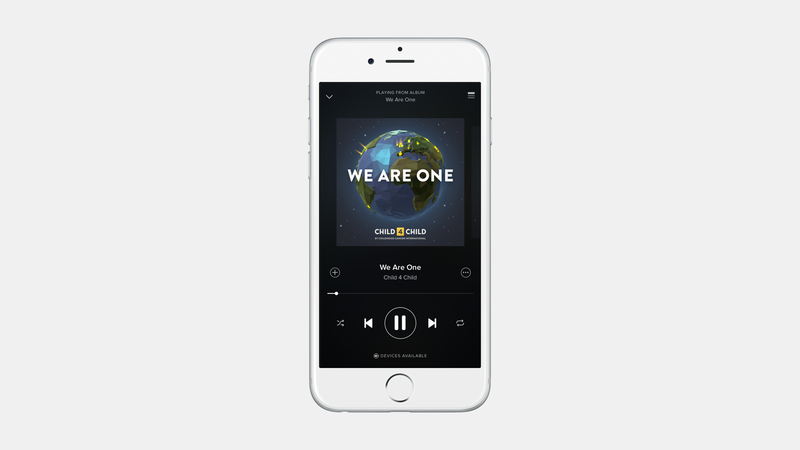 On the International Childhood Cancer Day we released "We Are One" on platforms such as Spotify, Apple Music, iTunes and more together with a music-video. Over 900 000 children from around the world have participated in the campaign.